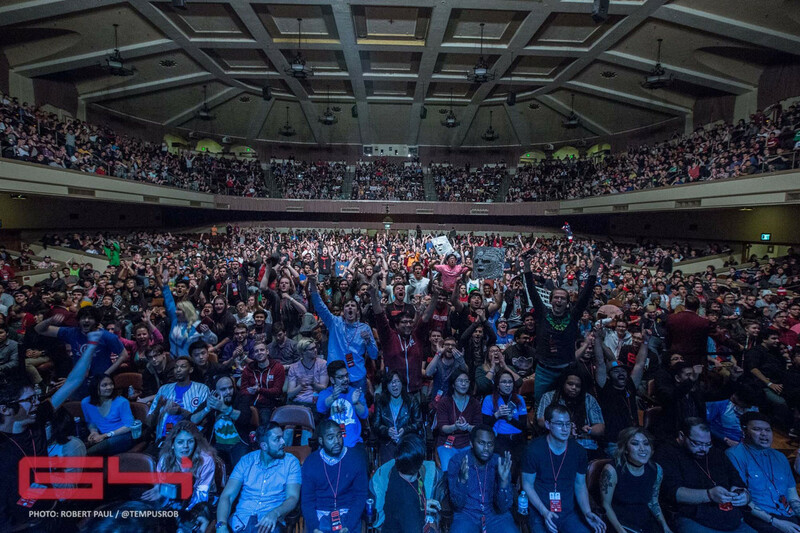 Matt wraps up the action from the weekend's Genesis 4 – the world's biggest Smash tournament. Swedish pro Adam Lindgren has made it three Smash Melee titles in a row with a dominant performance at Genesis 4. For those that don't know, Genesis is a Super Smash Bros. event run in California that rivals fighting game events EVO, The Big House, and Pound prestige-wise. It was first run in 2009, with subsequent events held in 2011, 2015, and 2016. It attracts thousands of competitors and spectators, with singles and doubles tournaments for Super Smash Bros. Melee and Super Smash Bros. for Wii U the biggest draws. Lindgren, who plays under the name of "Armada" for esports outfit Alliance, is a Smash powerhouse, having appeared in the Melee grand final in all four events, winning the past three. Last weekend, he swept aside his four-time Melee grand final rival Joseph "Mango" Marquez of Cloud9 3–0, making it look easier than ever. According to Esports Earnings, Lindgren bagged US$8,520 for the Genesis marquee event win, with Marquez forced to settle for US$3,408. The prize pool for the event was US$58,110. The performance leaves little doubt that Lindgren is currently the best Smash Bros. Melee player in the world. the best melee set ever? Gonzalo “ZeRo” Barrios of Team SoloMid has been the best Super Smash Bros. for Wii U player since the game launched in 2014, with a slew of number one finishes over the past two years. However, he was sent to the loser’s bracket at Genesis 4 by practically unknown Japanese player Brood. The real shock: Brood beat Barrios using Duck Hunt – the bird and dog duo from the game of the same name that is thought of as near-bottom tier, and as such, is never seen in top-flight competitive play. It was a shocking defeat, but not everyone was reeling. "I'm not surprised Brood beat Zero, that matchup almost doesn't exist in America," tweeted Smash pro Samuel “Dabuz” Buzby. Brood eventually finished 13th, losing to fellow countrymen Yuya "9B" Araki, while Barrios fought his way back to third place. In the Super Smash Bros. singles, Alvin Leon Hara beat Daniel "SuperBoomFan" Hoyt. Hara netted US$925 for the win, while Hoyt claimed US$370 and runner-up status for the second consecutive year. Hoyt would get a win in the Super Smash Bros. doubles, though. He teamed up with Jaime Hernández Rodríguez, and the pair beat Marco "The Z" Jardak and Eduardo "tacos" Tovar in the grand final, splitting the US$430 prize between them. Meanwhile, in the Super Smash Bros. for Wii U singles, Leonardo Lopez Perez ("MK Leo") beat Elliot Bastien Carroza-Oyarce ("Ally") in a thrilling grand final, 3–2. Notably, Perez was using Marth, a character not often seen at the top level. Lastly, in the Super Smash Bros. for Wii U doubles, the singles finalists teamed up to defeat Ryuto "Ranai" Hayashi and Rei "Komorikiri" Furukawa and claim the top prize of US$5,060. The ZOWIE RL2460’s exclusive head-to-head combat station setup lets you connect two displays to one console for a simultaneously lag-free display experience. Focus 100% on your battle without being disturbed by opponents. Controversy hit Genesis 4 before it was even underway: a finger injury saw EVO 2016 Melee champ Juan Manuel Debiedma ("Hungrybox") reseeded from 2nd to 5th, and this resulted in the three best players at the event – Debiedma, Armada, and Mango – being placed on the same side of the bracket. Then, in the Super Smash Bros. for Wii U round 2 singles pools, organisational snafus saw the wrong players facing off against each other. Worst affected was Thomas "Ito" Gonda, who lost to Eric "ESAM" Lew 2–0, but should have been playing against lowly-ranked unknown DSS. He wasn't alone though: two other match-ups were also mixed up in the same way. However, the biggest controversy at Genesis 4 did no less than throw the top eight Smash Wii U placings into question. The cause? It was discovered pretty late on that some games in the Smash Wii U tournament had been played with the game's damage ratio set to 0.9 rather than 1.0. This not only affects damage, but also knockback, which in turn affects combo spacing and timing, and can be the difference between a move eliminating a character or not. It isn't clear when the setting was changed, who did so, or whether it was intentional. The discrepancy was discovered after a loser's bracket battle between Japan's Rei “Komorikiri” Furukawa and USA's Zack “Captain Zack” Lauth, which Lauth won 3–1. After the bung setting was revealed, Furukawa protested the result and demanded a complete rematch. To his chagrin, only the last game of the set was replayed at a damage ratio of 1.0, and Lauth once again won. Furukawa refused to shake Lauth's hand, and later claimed the loss had sapped his passion for the game. “It’s not that I hate Smash, I still want to play," he said. Furukawa would up tied for 7th, while eventually Lauth placed fourth. Genesis 4 organizer Sheridan “Dr. Z” Zalewski ruled that the single game replay result was binding. “Once you start the next game, you are accepting the result of the previous and can’t contest it. Standard gaming rule,” he tweeted. "Genesis takes full responsibility for the mistake, but at some point things have to get set in stone even if they played out incorrectly," he later added. This saw Buzby asking Genesis for compensation. “At the end of the day, I’m upset. I feel like I was robbed, like my time was wasted and I didn’t get a chance to continue proving myself," he wrote. "I think for myself and Komo, all expenses related to the tournament (flights, hotel, food, ect.) should be reimbursed, it's the only fair way to make up to the players for this since it is not the fault of the players, but instead of the event runners." Genesis is yet to respond, but there is precedent: in 2015, the organiser of the NorCal Regionals of Capcom’s Street Fighter 4 Pro Tour offered compensation to a player after the tournament was run on an outdated version of the game. Despite the controversies, Genesis 4 ended with a lighthearted discovery once all was said and done: the Smash 64, Melee, and Smash Wii U medals were printed to read "Super Mario Bros." rather than "Smash Bros.". See you next year, Super Mario Bros. champs!